Tokka-Lotta II was designed by a Finnish designer Matti Pulli to serve as a Sea Scout training vessel. Her type is MP42 even though she is the only one of her kind. Her wooden hull was carved by Osmo Tätilä, otherwise the yacht was largely built using voluntary work. As an example of her dedicated design are the 12 bunks and own closets for every crew member. Tokka-Lotta II replaced the old Tokka-Lotta as the troop’s training vessel in 1989. 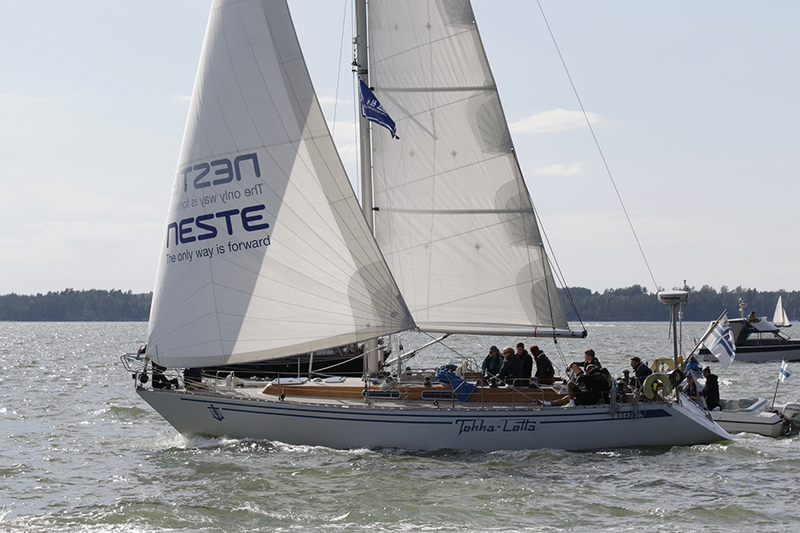 The sailing season for Tokka-Lotta II ranges from the beginning of May to the middle of October. Every summer she sails a longer voyage in the Baltic Sea and she has also visited Amsterdam. From May to August Tokka-Lotta sails almost every day in the beautiful Turku archipelago. She has participated in the Tall Ships’ Races in 1992, 1996, 2000 and 2003.